Serving stand Pearl round, 4-tier 30/25/21/18 sp. Large, 60 cm high serving stand with 4 plates (ø30, ø25, ø21 en ø18 cm). The plates have a subtle pearl border. The serving stand is silver-plated. 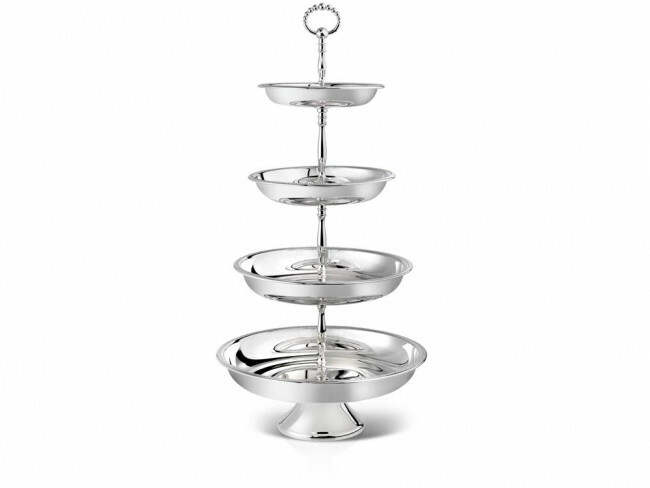 You're reviewing: Serving stand Pearl round, 4-tier 30/25/21/18 sp.